A few weeks ago, on a sunny Friday afternoon, we had the pleasure of visiting Small Room Collective when they popped up in the side yard of our favorite neighborhood watering hole. 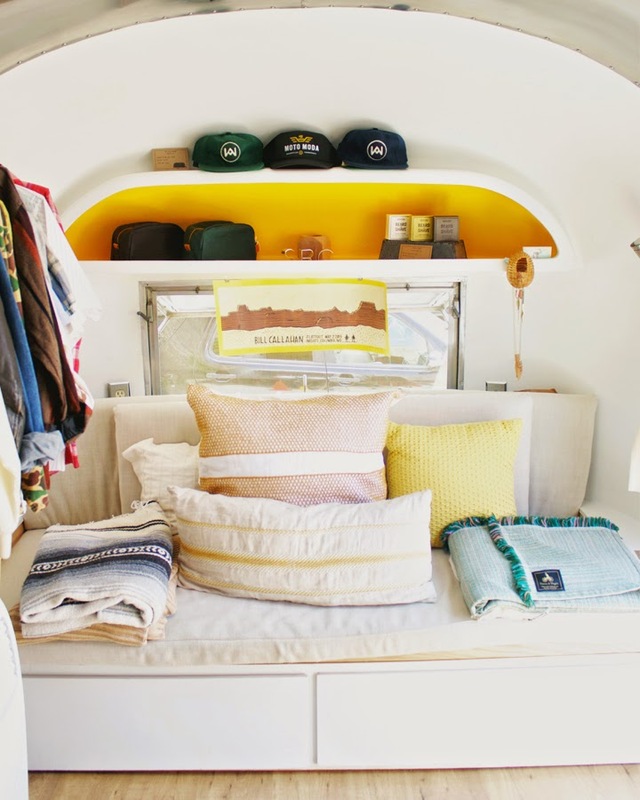 Small Room Collective is a mobile general store of sorts, housed in a gutted 1963 Airstream Globetrotter. Sweet owners, Lauren and Travis (and their darling old pup George) call Austin, Texas home but most of their days are spent on the road, exploring the country, and popping up in various cities to set up shop and hawk vintage clothes, as well as art, apparel, pressed vinyl, and small goods made by independent artists and makers. Hanging out in Small Room Collective was such a cool and totally unique shopping experience. It got us thinking about where we spend our money and how. 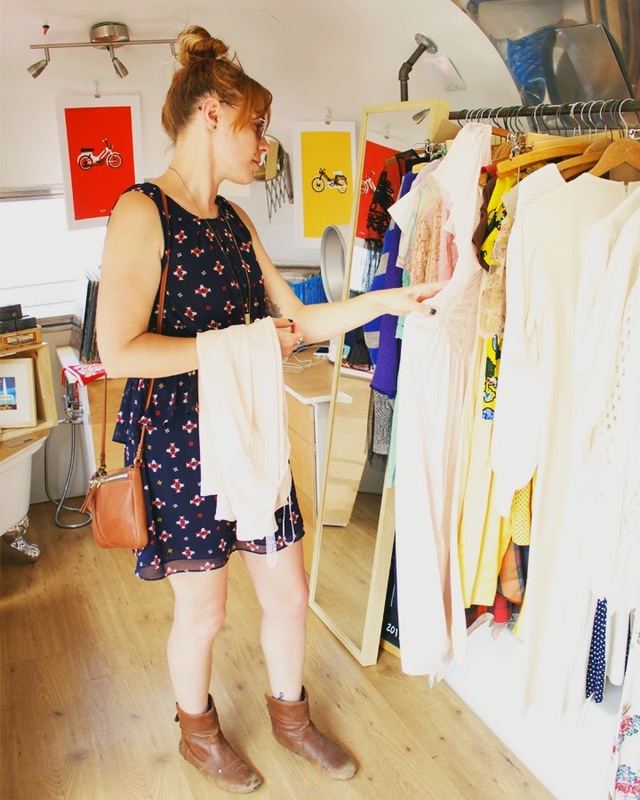 We're all about shopping local and giving our money to independent makers when we can. Not only does shopping small make a positive impact on the environment at large (hey, Mother Earth!) but it also helps grow our local community and support small business owners who have a passion for putting their craft out there in to the world. And that makes us feel pretty good. That being said, shopping small is not always the easiest thing to do. Mega malls and super stores are seemingly on every corner and often times waaay more convenient than seeking out a little "mom and pop" operation. So how does one be more aware about the bigger picture decisions being made when making a purchase? Below are three ways we try to be more conscious consumers. 1. Know thy maker. Design Sponge recently published an article talking about just this topic and they so totally nailed it! 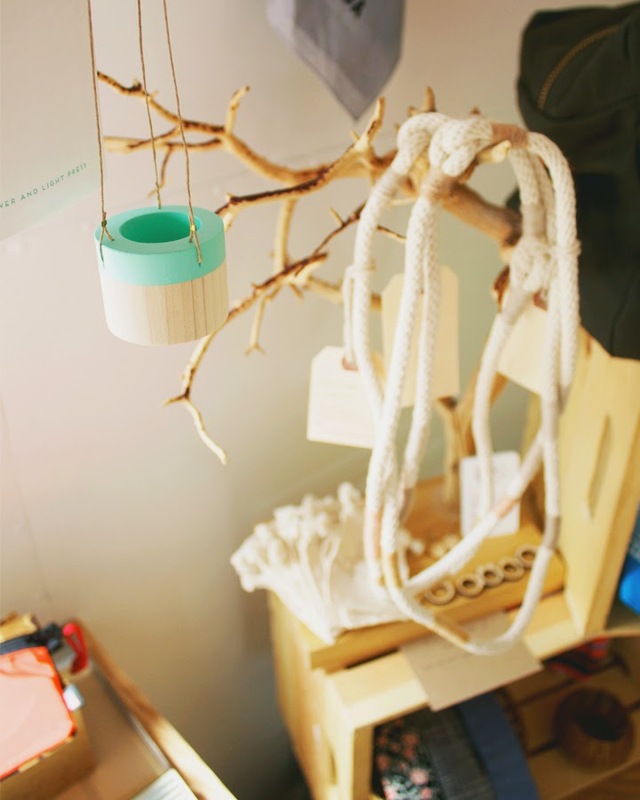 Being able to connect with the maker behind an object is important to us. It puts in to perspective all the hard work, talent, and love that went in to creating that object. Be it jewelry, clothing, or even food, we like to know the story behind what we're buying. Who made it? What resources were used in making it? How far did it have to travel before it ended up in my hands? 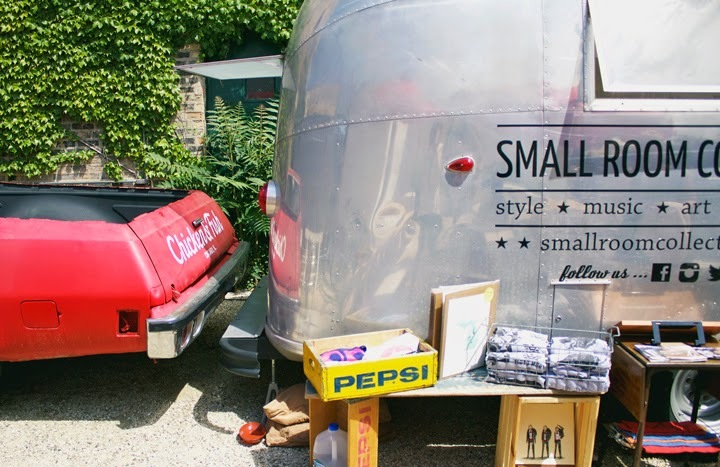 When we shop small and local, we find that these questions are surprisingly easy to answer! And when we do shop bigger chain stores we always look for brands that are transparent about their labor practices and promote themselves as fair trade. 2. Quality over quantity. Oh, this is hard one. One we struggle with constantly. See, we love a good bargain. And we can rationalize purchasing just about anything if it's on sale. "Buy two, get one free!" or "Take $10 off when you spend $75 or more!" It's all too tempting. We're slowly learning to resist that temptation, because here are the simple facts ... more is not always more. And cheap is usually just that, cheaply made from cheap-o parts. Instead we're curbing our impulse purchases and being more deliberate with what we buy. Through this process we're becoming mindful of the difference between want and need. As it turns out, we need way less than we thought we did! 3. One man's trash... Boy, is this old adage completely right on! 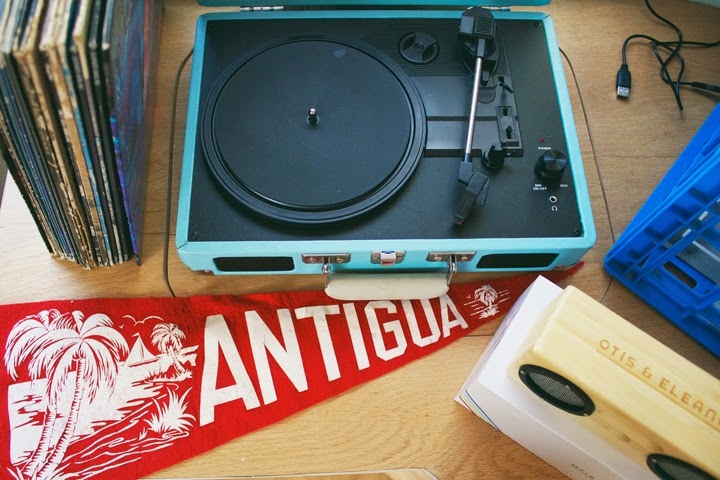 Whether we're looking for statement necklaces or knick knacks for our home, vintage and antique shops are our go to. In fact, some of the more unique and most complimented pieces we own are second hand. We feel good knowing that when we buy an item that has been previously owned and love, we're giving new life to what might otherwise end up in the garbage. 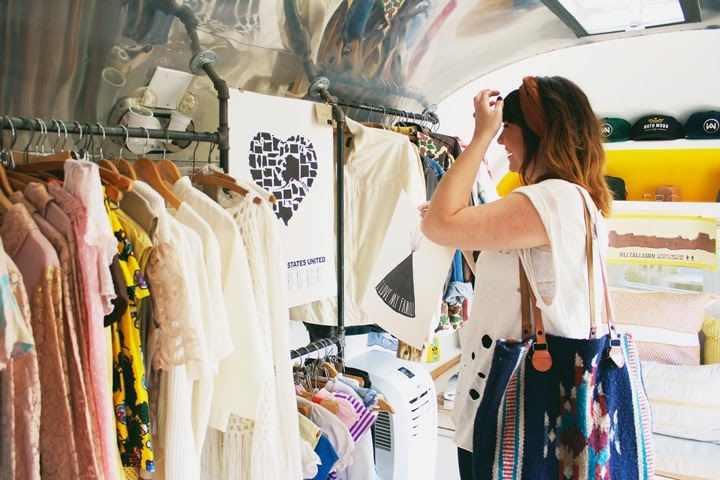 Check out a list of our favorite spots to shop vintage in Chicago here. We're not saying we're perfect. We're only human. Humans who can't help but occasionally succumb to the temptation of buying half a dozen cheaply-made overly-trendy sun dresses from Forever 21 (even when we know said sundresses will just fall apart after the first wash). But we do try our darndest to keep the above three points in mind when shopping. And we find that when we do, we're much less wasteful and so much satisfied with our purchases in the end. Over time, we're finding that we actually own less and want less. Our carbon foots prints have become smaller and our savings account are just a little bit bigger. And that makes us the happiest little consumers around! How about you? In what ways do you try to be a conscious consumer? We'd love to hear how you support small businesses!